From then on go to the website of SnagFilms or use their app if supported. Please see supported devices between SnagFilms and Unlocator at the bottom of this page. 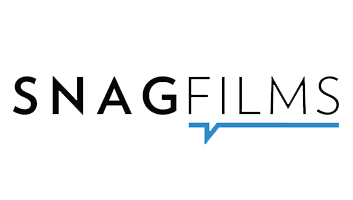 SnagFilms is an online streaming channel offering free movies and TV shows. The channel has over 5000 titles of eye-opening documentaries, original comedy shorts, “Before They Were Famous” movies, and series like Shark Men, We The Economy, and The World Cup Project. Unfortunately, SnagFilms is only available to US viewers. Therefore, if you want to watch SnagFilms abroad, you must make use of Unlocator Smart DNS. How to Unblock SnagFilms Outside the US Using Unlocator. In other words, you will not be able to access the full SnagFilm library from outside the United States. This will no longer be a problem if you’re using Unlocator’s Smart DNS proxy. It simply re-directs a portion of your internet traffic that’s responsible for highlighting your current whereabouts. By doing so, Snagfilms will qualify you as browsing from its area of coverage. As a result, you’ll have full access to its streaming library regardless of where you might be. Unlocator’s major benefit is that you don’t have to fret about a sudden drop in your connection speed, it doesn’t change at all. Not to mention that you’ll still have access to your local channels as well. Setting up Unlocator is pretty easy and you don’t have to be tech-savvy to go through it. All you have to do is sign up for a free Unlocator trial and follow the guides presented below based on the platform you’re operating. Once you finish the setup process, you can enjoy watching your favorite streaming channels from anywhere around the world.